Marijuana For Morning Sickness: Good Or Bad? Marijuana is emerging as something of a wonder drug as scientists and physicians discover how this ancient herb can help treat a range of health issues including multiple sclerosis, fibromyalgia and glaucoma. The versatility of cannabis as a medicine derives from its ability to target the body’s endocannabinoid system, a network of receptors responsible for pain signaling, mood regulation, hormonal balance and homeostasis. Put simply, the origins of many conditions — be it depression, auto-immune disorders or neurological diseases — may be the result of impairments in the endocannabinoid system. Now, marijuana is attracting interest for another common condition, the morning sickness many expectant mothers experience. According to a new report, about four percent of childbearing women use cannabis to combat nausea and other debilitating symptoms they experience while pregnant. Many women insist marijuana is far better than the prescription medication their doctors recommend. However, a number of medical organizations including the American Medical Association, contend that cannabis use while pregnant could adversely impact fetal development. So, who is right? Is it safe to use cannabis while you are expecting? And what natural or alternative remedies are there to combat morning sickness? The term “morning sickness” is somewhat misleading. Fifty percent of women experience nausea and vomiting about six weeks into pregnancy, and it can occur at any time of the day. However, generally speaking, these symptoms tend to be worse in the early hours, often improving as the day goes on. By and large, most women experience substantial relief by the fourteenth week of pregnancy. But for some, morning sickness persists until delivery. No one knows precisely what causes morning sickness, but most health practitioners assume that it’s due in large measure to the biochemical changes that take place during pregnancy. In particular, levels of a hormone called human chorionic gonadotropin spike just as nausea and vomiting symptoms reach their peak. A surge in estrogen levels, too, may play a role. Numerous studies have confirmed that marijuana has anti-nausea properties. For example, cannabis-based drugs, such a dronabinol and nabilone, have been FDA approved to counteract the queasiness that is a side effect of chemotherapy. Medical marijuana has demonstrably helped patients with cancer, MS and AIDS combat nausea. Given cannabis’s antiemetic properties, it’s hardly surprising that people would use it to try and treat nausea caused by a variety of other conditions. Using it to address morning sickness, however, introduces a very important question: Does ingesting marijuana during pregnancy put the developing fetus at risk? In fact, a systematic review of the scientific literature concluded that infants exposed to marijuana in utero were more likely to be anemic, have lower birth weights and to need neonatal intensive care than babies whose mothers did not use pot. A few studies have linked maternal cannabis use with impulse control problems, hyperactivity and short-term memory problems in children. Could cannabis cause long-term harm? While evidence linking cannabis during pregnancy to developmental problems in toddlers may be less than clear cut, there is still reason for caution. THC levels in marijuana are higher than ever. Impurities in street pot may pose unknown risks. The simple fact is that no one really knows with certainty how cannabis consumption by the mother could impact her fetus’s development. 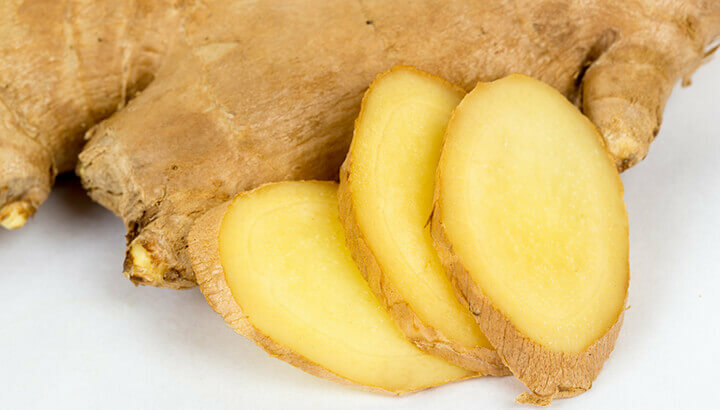 A small number of studies suggest that ginger lozenges, candies or supplements help many women cope with morning sickness. The American College of Obstetricians and Gynecologists recommends taking vitamin B6 to help fight morning sickness. Studies have shown that this supplement lowers levels of nausea in pregnant women. Many women report that scent therapy can help them fend off feelings of nausea. From a scientific point of view, high levels of estrogen appear to make women very sensitive to certain odors, which can trigger nausea. The scent of lemon extract, rosemary, or other fresh smells can counteract these triggers. Staying properly hydrated is especially important when you are pregnant, but it can be quite difficult when you can’t keep anything down. Sucking on ice cubes made with fruit juice or electrolyte drinks can be a palatable way of consuming the fluids you need. In particular, nutrition experts frequently recommend watermelon juice because it is rich in minerals and fruit sugars that reportedly ease cramps, heartburn and nausea. Lemon juice and peppermint tea are also highly recommended natural remedies. Sometimes, natural remedies are not enough. A severe form of morning sickness called hyperemesis gravidarum can lead to dangerous dehydration and weight loss. In such cases, doctors may recommend or prescribe traditional pharmaceuticals to treat the condition. Over-the-counter sleep aids that combine vitamin B6 and the antihistamine doxylamine are considered safe and effective by the medical community, but side effects such as drowsiness, blurred vision and constipation are common. “Other antihistamines like promethazine are effective as well,” insists Dr. Jonathan Schaffir, associate professor of Obstetrics and Gynecology at Ohio State University. However, once again, many women are not comfortable with the sedative effects these products entail. Non-sedative anti-nausea medications, such as ondansetron have proven popular, but concern over a possible — though unproven — link to birth anomalies has limited this drug’s use to after the first two months of pregnancy. Many practitioners, however, contend that the remote risks of drugs like these must be weighed against the very real danger that malnutrition and dehydration pose to both the mother and her fetus. The same kind of thinking may apply to the medical use of marijuana to treat morning sickness. The story of Trinity Dogood may be a case in point. Trinity was one of the estimated one to three percent of women who experience hyperemesis gravidarum, the most severe form of morning sickness. In fact, her symptoms were so bad, she was vomiting 30 times a day and she couldn’t hold down food. In her case, fetal demise was a distinct possibility. Trinity exhausted natural remedies but was reluctant to take Zofran, a powerful anti-nausea medication recommended by her doctor. She feared prescription drugs could adversely affect the fetus. When her symptoms became so severe, however, she did end up smoking pot, which immediately improved her condition. Shortly thereafter, Trinity was forced to give up using cannabis to alleviate her morning sickness. Her OB had informed Child Protective Services in Arizona that she was smoking weed while pregnant. Trinity feared she might lose custody of her baby when it was born and possibly her other children as well. She took Zofran for the rest of her term, but the results were far from satisfactory. Thankfully, Trinity delivered a perfectly healthy baby girl, but she had to submit to CPS administered drug testing to prove she was marijuana-free. 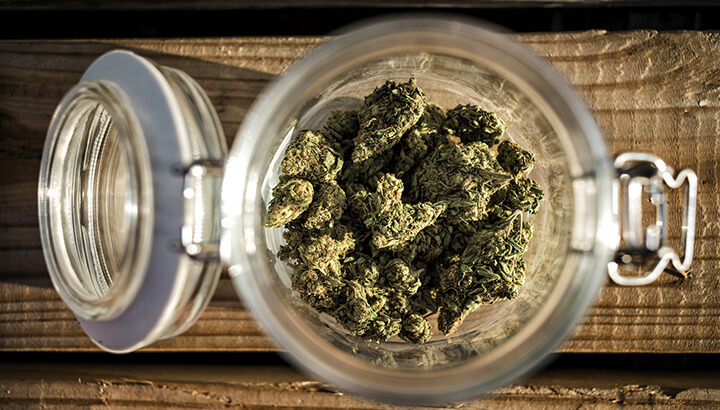 Scenarios like that are unnecessarily punitive, said Dr. Anthony Anzalone, a general practitioner involved in overseeing New Jersey’s Medical Marijuana program. Dr. Anzalone insists that medicine is all about weighing risks and benefits. That’s true about wonder drugs as familiar as aspirin, which can cure headaches, reduce inflammation and cut the risk of some cancers, but also precipitate gastrointestinal bleeding. Dr. Anzalone suggests that dispensaries could grow marijuana strains with low THC levels, which he argues would be more therapeutic for the mother, but less risky for the fetus. In the past, society has reacted hysterically to marijuana. In some ways, the pendulum is now swinging the other way as cannabis is embraced as a cure-all for numerous conditions. In truth, the ancient herb has benefits and risks, which must be carefully weighed. Keeping informed, discussing options with care providers and making evidence-based decisions is the best way expectant mothers can safeguard the health and well-being of both themselves and their fetuses. Previous articleIs My Thyroid Making Me Fat? Hey Buddy!, I found this information for you: "Marijuana For Morning Sickness: Good Or Bad?". Here is the website link: https://www.thealternativedaily.com/marijuana-for-morning-sickness/. Thank you.